Enjoy with Green’s Vermont Maple Syrup! 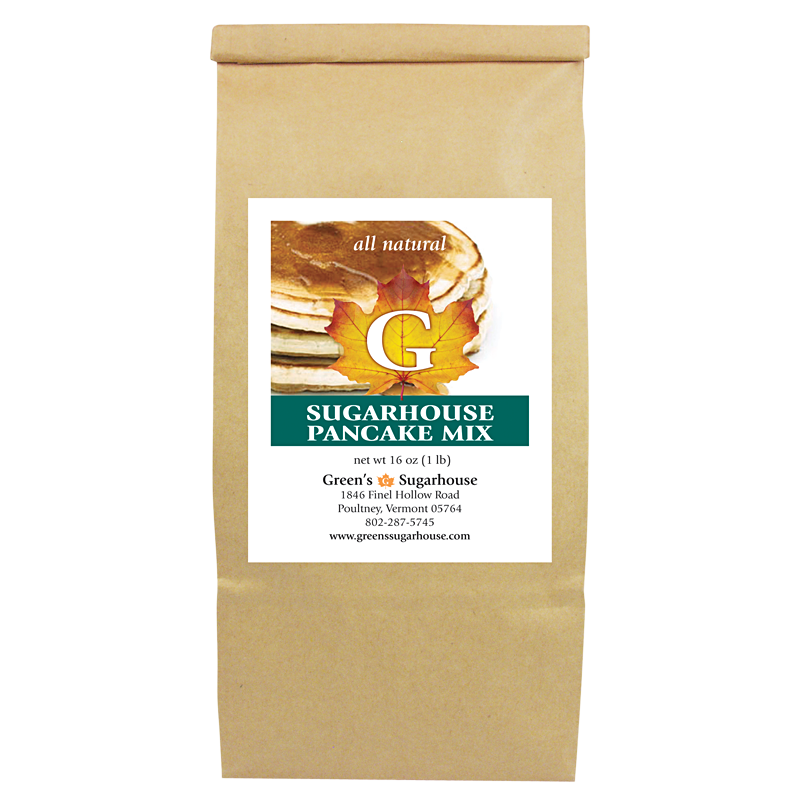 Green’s pancake mixes are homemade in the sugarhouse using all natural ingredients. 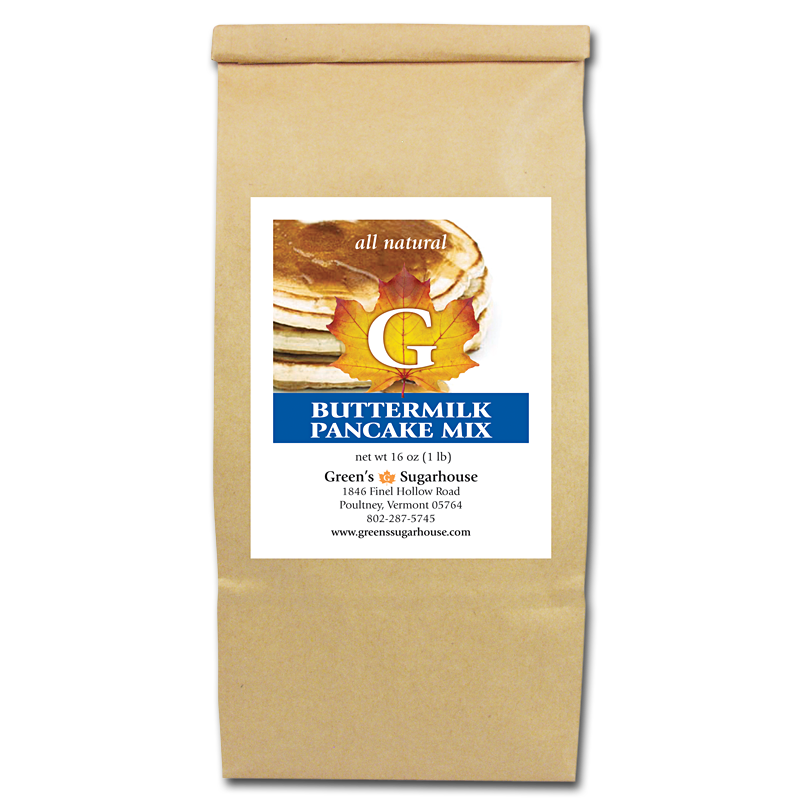 We offer the classic Buttermilk Pancake mix along with our dairy-free option, Sugarhouse Pancake mix. Each mix makes delicious pancakes or waffles; add some fresh fruit on top for a colorful meal!